A NIGERIAN DEAF AND DUMB in United States, FRANCIS ANWANA who was brought into America at the tender age of 13 years to school is presently fighting the greatest battle of his life against deportation back to Nigeria in the hands of United States Immigration and Customs Enforcement, ICE, under the parent body of United States Citizenship and Immigration Services, USCIS having alleged to have violated his immigration student status and overstayed three decades. Amid a public outcry, U.S. immigration authorities are standing firm in their decision to deport Anwana, a deaf immigrant in Detroit from Nigeria who has lived in the United States for three decades, saying he is illegally residing in the U.S. But U.S. Immigration and Customs Enforcement added that it will allow the 48-year-old man to leave on his own instead of being deported immediately. His original departure date was to be Tuesday, after being told last week he was being deported. “In an exercise of discretion, ICE is allowing Anwana to make arrangements to depart the U.S. voluntarily,” Khaalid Walls, spokesman for the Michigan and Ohio office of ICE, told the Free Press. ICE did not publicly say when Anwana’s deadline is to leave. He has a meeting with ICE. In 2008, an immigration judge with the Department of Justice’s Executive Office for Immigration Review ordered Anwana to be removed from the U.S. In 2009, ICE placed him on an order of supervision because, at the time, the agency was unable to obtain a travel document from his home country. On September 11, 2019 Anwana was told that he had to leave the U.S to the shocking his supporters. As the Free Press reported recently, Anwana is deaf, can’t speak, and has cognitive disabilities that make it difficult for him to understand what is happening, say his friends and advocates. He wouldn’t be able to survive in Nigeria, they said. Raised in Nigeria, Anwana came to the U.S. to study at a school for the deaf in Michigan. He now lives at an adult foster care center on Detroit’s west side, where he volunteers to help mow lawns and mop the floors at a nearby church. His visa expired as he was moved around to different homes and facilities and the directors of his school who knew him moved away, say his supporters. ICE said in its statement that Anwana was admitted to the U.S. in 1987 as an F-1 nonimmigrant student. Anwana’s case has drawn support in recent days from the Congressional Hispanic Caucus, which represents 31 members of Congress, UndocuBlack Network, which supports undocumented African immigrants, deaf advocates, and David Leopold, a prominent immigration attorney with DHS Watch and former president of the American Immigration Lawyers Association. Expressing concern about his removal David Leopold, he told ICE to “call it off. Enough is enough.” After arriving in the U.S., Anwana attended the Lutheran School of the Deaf and later the Michigan School of the Deaf, where he graduated, said Newman. Anwana reads at a second-grade level and has trouble understanding his immigration issues. In 2006, an attorney filed for asylum for Anwana, but he was denied. Newman and Reed said Anwana would suffer if he had to go back to Nigeria. Being deaf, disabled, and unfamiliar with Nigeria after more than 30 years would disorient him. It would be a virtual “death sentence,” Reed said. He has no criminal record, Newman said. Anwana communicated briefly with the Free Press on Friday through a sign language interpreter. He said he was happy to live in Detroit and talked about helping out at a nearby church. Meanwhile, a Congressman, Dan Kildee representing Michigan came to the defense of Anwana which led him to introduce legislation to halt deportation of the deaf Michigan Resident. 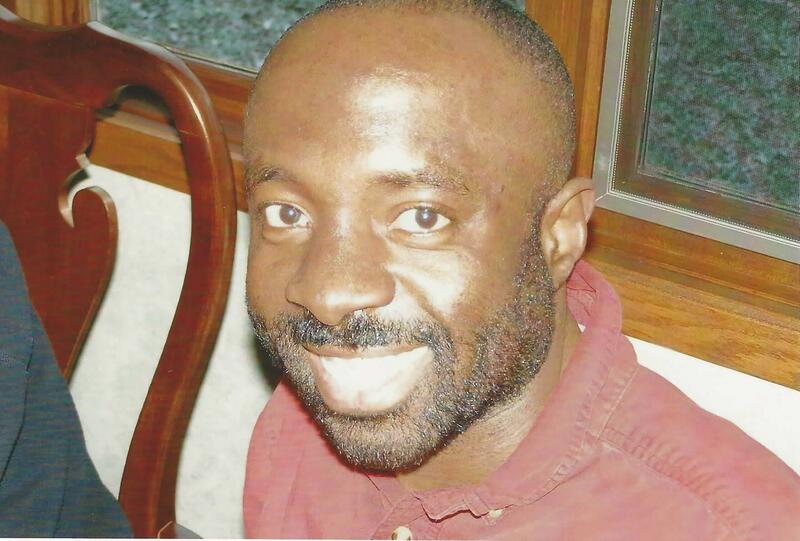 In a bill titled: ‘Legislation to Grant Legal Permanent Resident Status to Francis Anwana, Allowing Him to Continue Residing in Michigan’ reflected in a press statement on September 12, 2018, Congressman Kildee argued: “today introduced legislation to grant legal permanent resident status, also known as a green card, to Francis Anwana, a Michigan resident currently facing deportation. “Congressman Kildee’s legislation, commonly referred to as a private bill for immigration relief, would grant permanent resident status to Anwana. Congress has the ability to grant permanent residence to a foreign national on Congress’ own initiative. As this bill is considered by Congress, Anwana’s legal status remains unchanged, but it is at U.S. Immigration and Customs Enforcement’s (ICE) discretion to consider Anwana’s unique case. This is the first private bill for immigration relief that Congressman Kildee has introduced. Congressman Kildee has been working with Anwana regarding his immigration case since 2015. “Anwana, who was brought to the U.S. as a child by his relatives from Nigeria, is deaf and has been living in Michigan for the past 35 years. Anwana was recently informed by ICE that he will be deported, as soon as this month. At age 13, Anwana came to the U.S. on a F-1 student visa so that he could study at the Lutheran Residential School for the Deaf in Detroit, since he did not have access to education in Nigeria. During his time in the U.S., Anwana learned American Sign Language and made many friendships from his school. In 1988, he transferred to the Michigan School for the Deaf in Flint to attend high school. Anwana currently volunteers in the community and is active in his Christian church community. “Anwana has previously applied for asylum because he would face persecution in Nigeria due to being deaf, but his asylum application was denied. Since then, Anwana has remained in the U.S. at the discretion of ICE. On September 6, 2018, Anwana was told he would be deported. Despite a public outcry in recent days, ICE continues to assert that they are moving forward with Anwana’s deportation. Last week, Congressman Kildee spoke with ICE field office in Detroit asking the agency for leniency in considering Anwana’s case. “Francis was brought here as a child and America is the only country he knows. Despite being deaf, Francis continues to volunteer in the community and be an active member in his church. It would be wrong to deport Francis to Nigeria, where he has no family, means to communicate or ability to take care of himself. I will continue to fight on Francis’ behalf and I urge the Trump Administration to use its discretion on this case to allow him to remain in the United States,” Congressman Kildee said. Congressman Dan Kildee (MI-05) today introduced legislation to grant legal permanent resident status, also known as a green card, to Francis Anwana, a Michigan resident currently facing deportation. Congressman Kildee’s legislation, commonly referred to as a private bill for immigration relief, would grant permanent resident status to Anwana. Congress has the ability to grant permanent residence to a foreign national on Congress’ own initiative. As this bill is considered by Congress, Anwana’s legal status remains unchanged, but it is at U.S. Immigration and Customs Enforcement’s (ICE) discretion to consider Anwana’s unique case. This is the first private bill for immigration relief that Congressman Kildee has introduced. Congressman Kildee has been working with Anwana regarding his immigration case since 2015. Anwana, who was brought to the U.S. as a child by his relatives from Nigeria, is deaf and has been living in Michigan for the past 35 years. Anwana was recently informed by ICE that he will be deported, as soon as this month. At age 13, Anwana came to the U.S. on a F-1 student visa so that he could study at the Lutheran Residential School for the Deaf in Detroit, since he did not have access to education in Nigeria. 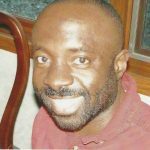 During his time in the U.S., Anwana learned American Sign Language and made many friendships from his school. In 1988, he transferred to the Michigan School for the Deaf in Flint to attend high school. Anwana currently volunteers in the community and is active in his Christian church community. Anwana has previously applied for asylum because he would face persecution in Nigeria due to being deaf, but his asylum application was denied. Since then, Anwana has remained in the U.S. at the discretion of ICE. On September 6, 2018, Anwana was told he would be deported. Despite a public outcry in recent days, ICE continues to assert that they are moving forward with Anwana’s deportation. Last week, Congressman Kildee spoke with ICE field office in Detroit asking the agency for leniency in considering Anwana’s case.